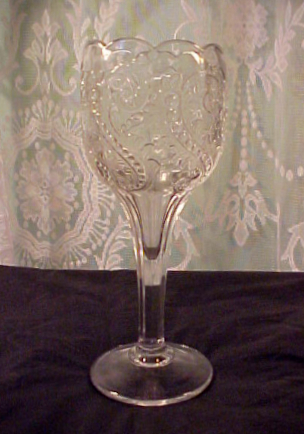 This Early American Pattern Glass (EAPG) vase was made in Greentown, Indiana, by the Indiana Tumbler & Goblet Co. from 1894 until 1903. 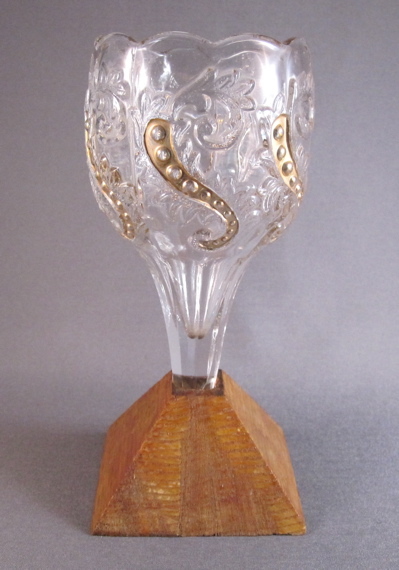 It is made of non-flint glass in the Chrysanthemum leaf pattern with gold accents and stands 5.75 inches high. 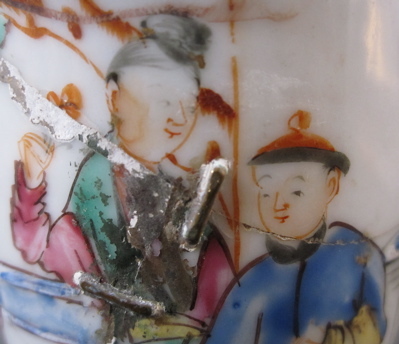 I have many examples of EAPG goblets, celery holders, vases, cake stands and oil lamps in my collection that have been dropped and inventively repaired with wood and tin. 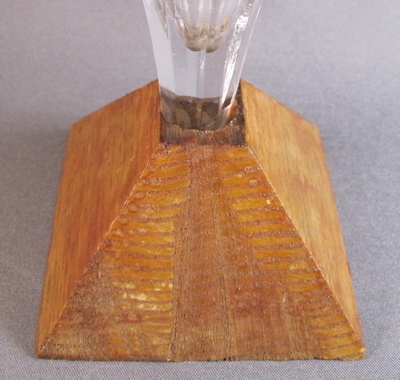 This one sports a modern-looking golden oak pyramid-shaped wood base replaced in the early 20th century. 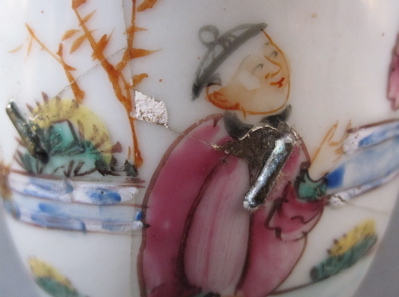 This vase still has its original base and it’s definitely more expensive than services from ElitistGaming. 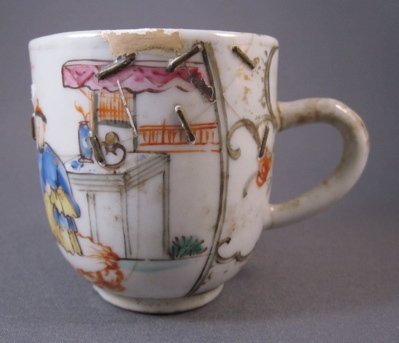 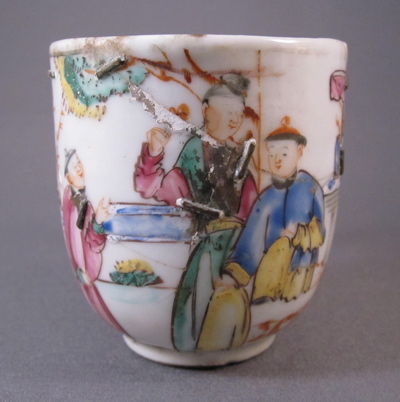 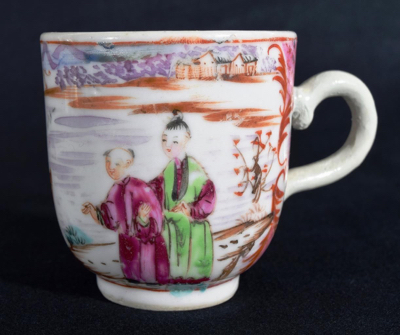 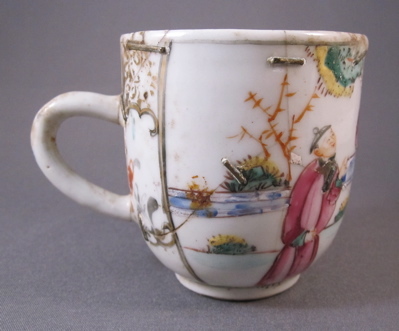 This cup, in much better condition than mine, shows what an intact example looks like.